The European Central Bank promised to keep interest rates at their record low “at least through the end of 2019” at its monthly rate-setting announcement yesterday. With growth sluggish and even Germany skirting recession, the ECB had already backtracked on plans to tighten policy – although yesterday it shied away from adding further stimulus to the floundering euro area economy. 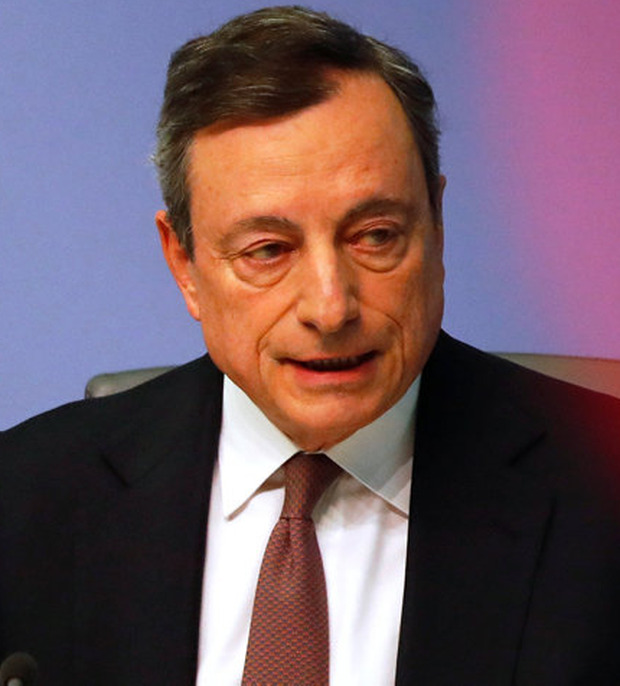 Economic weakness has been “somewhat longer lasting” than anticipated, ECB President Mario Draghi said. With Wednesday’s decision, the ECB’s deposit rate, currently its primary interest rate tool, remains at -0.40pc while the main refinancing rate stands at 0.00pc. Mr Draghi, who welcomed incoming ECB chief economist Philip Lane to the bank’s executive board, confirmed that policymakers were considering measures to mitigate the impact on banks of its negative deposit rates as well as monitoring the impact of a new cheap lending programme that aims to encourage banks to lend, dubbed targeted longer-term refinancing operations (TLTRO). Meanwhile, UK economic data surprised on the positive side. The economy there unexpectedly grew in February, boosted by manufacturers rushing to meet orders from clients stockpiling goods ahead of Brexit, official data showed.